As corruption inquiries in various states continue to take politicians and business figures to task for their nefarious dealings, a professor of crime policy says whistleblowing legislation is ineffective. Flinders University’s Professor Andrew Goldsmith, Director of the Centre for Crime Policy and Research, say more should be done to protect the brave workers who do not let illegal, immoral and dangerous business practices continue. Professor Goldsmith made the comments at a forum this week, which discussed the South Australia’s whistleblower legislation, which is currently under review by the SA Independent Commission Against Corruption (ICAC). Workers must be willing to officially report conduct that is at odds with the aims of an organisation, he said. Whistleblowing was hailed as an important mechanism in the fight against public sector corruption across areas that include the police and the prison system. But SA’s current whistleblowing legislation has barely been used since it was set up twenty years ago, showing people are still reticent to raise their voices. “Getting the whistleblower legislation right is integral to public sector integrity,” Professor Goldsmith said. 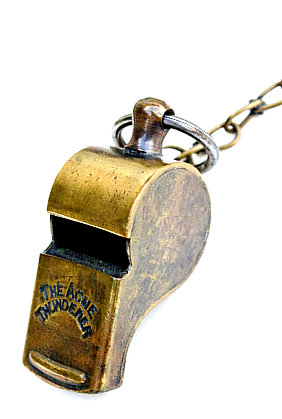 “As it stands, whistleblowing is a fairly thankless task. “Many people suffer reprisals that affect their professional and private lives – the question is how we can encourage people who have witnessed misconduct to come forward without fear of repercussions. “We need to toughen up the scheme so that legal action or workplace measures can be taken against people who bring about reprisals, and we need to stress that the responsibility of management is key. “An external organisation, such as an ICAC, should have the ability to take over the protection of the whistleblowers where there is a high risk to the whistleblower within that organisation, or if it has a bad record of protecting whistleblowers,” he said. Professor Goldsmith said incentives could play a role. “We know that a lot of people see stuff that is wrong or should not be occurring but don’t report it,” he said.